How far have loyalty programs come in actually cultivating true loyalty from consumers, as opposed to just transactions? For the answer, look no further than some of the classic solutions that have emerged over the years: punch cards, wallets, coupon codes and discount cards. The ‘innovation’ in most loyalty programs to date has come from simply digitizing these solutions, not transforming them. They all still depend on some version of cash or points – which in turn leads to behavior that doesn’t really result in loyalty, only transactions. That all changes with the addition of the newest company to the Canaan portfolio: Bumped. Instead of transactions, Bumped offers the most valuable loyalty tool of all - ownership. 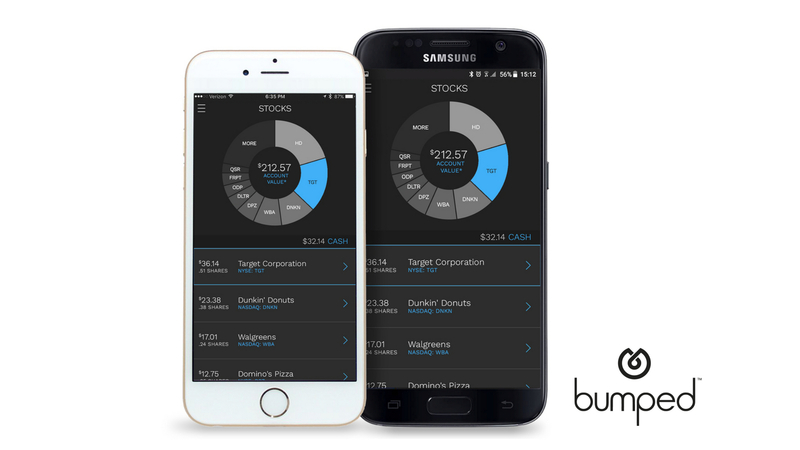 Bumped builds one-to-one relationships with consumers by turning shoppers into shareholders – it is the first company to award fractional shares of company stock based on an individual’s spending. For example, if I spend $121.92 at a hardware store, I might get $1.21 in stock for that company – the system is all automatic once I enter my credit card information. It comes at a time when brands are in real trouble. Trying to differentiate from the $1 trillion gorilla in the room – Amazon – is becoming ever more difficult as the behemoth gobbles up an ever increasing share of consumer dollars. Current loyalty programs that compete on cash or points – essentially a disguised price discount - no longer work when they can be matched by the enormous convenience and price transparency Amazon has. Brands desperately need a way to cultivate a true relationship with customers, one that goes beyond price. Enter Bumped – and the power of ownership to instill loyalty. Research supports this vision. A 2009 study published in the Journal of Consumer Marketing looked at the effect of stock ownership on consumer behavior. For over half of the individuals in the study – in one company up to 75% – stock ownership caused certain, increased motivation to prefer a company’s products over those of competitors. For 30-40% of individuals – in some cases for up to 50% – the stock ownership caused customers to cease buying competitors’ products altogether – and to pay premium prices for the preferred company’s products! Personally, I am thrilled to be making this investment. When I was CEO of Shopping.com (acquired by eBay), we were focused on helping shoppers everywhere use the power of information to find, compare and buy anything. At the time, it was the third-largest shopping destination on the web. However, the challenge was not in acquiring customers, it was in keeping them. We tried different versions of the loyalty programs that existed at that time, but without significant success – because whatever we offered, price was the ultimate vehicle that we leveraged, directly or indirectly. Bumped can now take that relationship one giant step further, beyond just price. It’s a trend that takes two investment themes that we watch closely here at Canaan – disruptive loyalty/retention technology and asset democratization – and converges them. Asset democratization – the power of technology to enable everyone to own different asset classes that they never could have in the past - is something we first saw starting with LendingClub, where we led the Series A. Previously banks could only own consumer loans – what would it mean if everyone could? That trend has continued with our investments in companies like RealtyMogul, which opens up real estate as an investment class to everyone, as well as CircleUp, which opens up private company ownership. With Bumped, we are combining loyalty with asset class democratization in what I think is a unique and very powerful way. Nearly half of families do not have any retirement account saving – that includes things like IRAa and 401(k)s. In Bumped’s vision for the future, these fractional shares may be the first time people own stock – and it would be at no cost to them. People would acquire shares, and ideally see growth and profit. Bumped could bring a whole new cohort of people into the practice of investing – in a simple, straightforward and low-risk way. We’re investing in the founding team as much as the vision. David Nelson, founder and CEO of Bumped, is uniquely suited for the challenge. In 2012 he sold his previous company Giftango, which was one of the original companies in the business of bringing plastic gift cards into the digital age. And importantly, its success relied on convincing large brands to buy into the concept. Now he is on a different and much larger mission, that takes all his previous experience and applies it to transform loyalty programs forever. At Canaan, we’re excited to be funding Bumped. For brands, numerous academic and real life case studies show that when people own a piece – even a small piece – of a company, their loyalty to that company increases dramatically. And for consumers, it’s an opportunity to root for a company they believe in – and for many, bring them into the world of investing for the first time.